Showing results by narrator "Fiona McLeod"
Unlocking My Brain: Through the Labyrinth of Acquired Brain Injury brings to life Christine's personal experience of brain injury - from losing her vision and being unable to walk, talk or write, Christine regained her life, her thoughts and her career. In 1991, Christine was involved in a horrific car accident and suffered extensive injuries including Acquired Brain Injury (ABI). 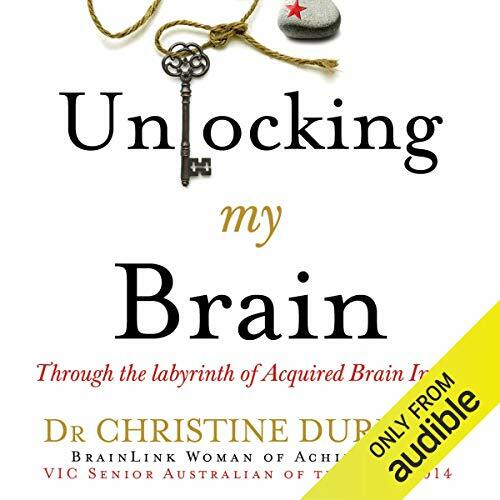 Unlocking My Brain shows the incredible plasticity of the human brain as well as the plasticity of the human spirit.